I wanted to let all my regular readers know that although I have not published lately it is all good. The pipes are finally thawing out, the propane is holding out, and a new exciting strategy is almost ready to share with you. I also have some draft posts I hope to publish soon, interruptions allowing. I have been busy testing a new strategy and sometimes testing and assisting small businesses is more urgent than blogging. In the long run, those activities are beneficial to all who read what I share here. This one is simply awesome so do be sure to watch for it. Hopefully you already know that with the amount of research I put into my posts and the number of links I include that I will never post as frequently as many others – much less as often as that prolific affiliate marketing expert Murray Newlands who is up for Affiliate Summit Top Blogger. You have plenty to read anyway, right? And far more to do than you could ever get to – so quality trumps quantity in my book. If I ever get caught up though – look out – as I have tons more strategies that will benefit you, my valuable readers. See: I can’t even write a quick post without adding links to it and turning it into a teaching lesson! Notice the effective use of anchor text? Learn just this one thing and you are on the way to more success in 2010 and every link you share will benefit others so much more. 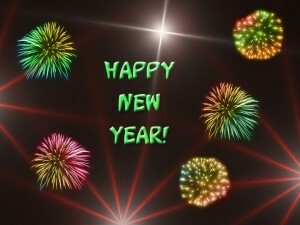 Best to all in 2010. If I can ever be of service just ask – especially if you can not afford to pay for expert advice. I must say that this blog has got excellent informative post .I agree that quality matter a lot than quantity of post. Great post, and I too have taken time off from the exhausting blogging and linking etc. Good luck in 2010 and great site! .-= jeremy´s last blog ..Ron Paul on the Health Reform Bill =-. For my business (and, thus, for me) the new year starts on March 14, so your post is still relevant;). It’s the date when I registered my first domain. A bunch of things have changed since then, still I’m looking forward for new results and expectations this years. .-= Mary@Hair Loss Products´s last blog ..Natural Products For Hair Loss =-. 2009 was pretty good. Hopefully this year will be better. Have a good year yourself. USA just beat Cananada tonight in Olympic hockey so that has to be a good sign! .-= Ed @ Low Cost Medical Insurance´s last blog ..Medical Insurance Quotes =-. wish you all a very Happy New Year and hope this new year may give you all the happiness and may every wish of yours be completed. It looks like a lot of us are making big changes for 2010. I’ve been telling myself that I’m giving comments time to build up by posting less but it’s really just the lack of time. I’m consulting local businesses and like you said that’s more urgent than blogging. I’m looking forward to seeing your new strategy. .-= Brian D. Hawkins´s last blog ..Who Wants To Run HotBlogTips.com? =-. I didn’t realize you were also working with small businesses. Watch for an email from me about what we are doing and the processes I’m working on. I’m sure they will benefit you and anyone else you are assisting. For me, getting a post up every day IS about getting indexed more frequently. It’s a pain to keep it up sometimes, but at other times, it’s just something I really enjoy. I’m a little less established, so I do my best to keep to the routine. .-= Gomez@windshield appointment´s last blog ..Winter survival kit part one: windshield broom/scraper =-. You are correct that publishing daily really helps with getting established and growing a site. I have so much I’m working to pull together to benefit so many that I don’t post nearly that frequently right now. I will when I get what we need further along. This is really a great year for all and i am really felling good. I want to say some here that forget all the bad memories of 2009 and try to start a new life from 2010. I hope you will enjoy this year with lots of new hopes and good news. Anyways keep it up and thanks for the information. .-= sachin@Smooth Fitness coupon code´s last blog ..Special offer =-. Always quality over quantity. I’ll be looking forward to what you share, having just cleaned out my RSS reader I’ll be adding this site back in so I can stay up-to-date with what you’re sharing. .-= Karl Foxley@SEO and Internet Marketing Blog´s last blog ..15 Free Tools To Add To Your Online Business Toolbox =-. Great to have you on board. I have some exceptionally exciting strategies I’m testing that will be too complicated for beginners but perfect for those who already have strong backgrounds like you. Look for an email from me about a blog collaboration and some things we are doing that we will be blogging about in the future. Serious bloggers reading this comment can contact me if they want advance information. I’m not trying to keep it from anyone and will be sharing it here when I can. I just don’t have time right this minute to blog all the details. The first step for collaborating is to do what I wrote about in the post featured in CommentLuv in this reply. .-= GrowMap @ Social Media Marketing´s last blog ..Are You Playing Hide and Seek With Your Market? =-. .-= Marc ´s last blog ..Stuart Weitzman Oboe Bridal Shoes =-. We are all still learning all the time. Did you see all the affiliate marketing resources in our gift affiliate program post? Don’t miss our dofollow, commentluv, keywordluv enabled gift and wedding blog. = GrowMap @ Social Media Marketing´s last blog ..MEME: LinkLuv to My Fav Bloggers Favs =-. Many other bloggers said that you really dont need to post as often as what somebody says. 2-4 post a month will be good as long as the content are great and relative to what the site are targeting, I love your tips they are so right. I must say that this blog has got excellent information and i have also set some goals for year 2010.I agree that quality matter a lot than quantity of post. .-= saurabh@replica hand bags´s last blog ..The Shaprest Way to Dress Up is in Custom Tuxedos =-. We can all learn together must faster than we can figure it all out alone! Some of us are taking that even further by collaborating directly. Have you checked out our ExecGiftsBlog and wedding store? Be sure to read the post I’ve featured with CommentLuv in this reply. If you don’t clearly understand what I’m sharing do ask in the comments. That may be the most important post I’ve ever written and I know that many do not immediately understand the concept. I too have some new strategies in mind for the new blog, this should prove a great year! As sson as you get the new blog rolling, message me so I can help spread the word, link to it, and raise your visibility. I also want to run the blog syndication concepts by you. I agree that 2010 will be a major year for us all. LOL, boy I can relate to you! I too have not been posting much, but I hate to post quick crap, I would rather post less with quality! Happy New Year to you too and good luck in all your ventures! .-= JR @ Internet Marketing´s last blog ..Crucial Making Money Online, Internet Marketing and Affiliate Marketing Lessons Learned in 2009 =-. I rarely manage to post anything quick because no matter what I post ends up like this post did. 🙂 That is just me. We do have much in common and I would REALLY like to get in direct contact with you as soon as you have time. We are obviously on the same path and comparing notes will greatly benefit us and all those with whom we interact. Let’s email each other chat info and phone numbers and collaborate soon. You know, it isn’t everyone who can teach, and you certainly understand the correct principles around that art. All too often, when someone becomes proficient with computer software, he or she loses the memory of what it was like to turn on the computer for the first time and try to master the bewildering information necessary to not only get going at all, but to read a level whereby one can create something that others will enjoy reading. You have a gift for teaching. Thanks so much for sharing that gift on a consistent basis. Welcome Beth and thank you. I do hope what I’ve shared has benefited you. If I can ever be of assistance please just ask. Did you know that when you comment here you can put your best keyword phrase in as your link. That will send more visitors to your site and move you up in the search engines. If you want to know how to link those phrases to specific pages read my post about blog commenting to greatly increase traffic. I totally agree with you that quality trumps over quantity any day. I’m also the kind that will only post when I feel like I have something truly beneficial to share with others. That’s what works for me personally. .-= Eren@ homemaking´s last blog ..Discover the Power of Allowing Yourself to Cry =-. Good to see you here too. I suspect the main reason for the advice to post every day is to maximize traffic and to keep the search engines indexing you quickly. I do notice that my AdAge Power150 ranking slips when I don’t post for a while.